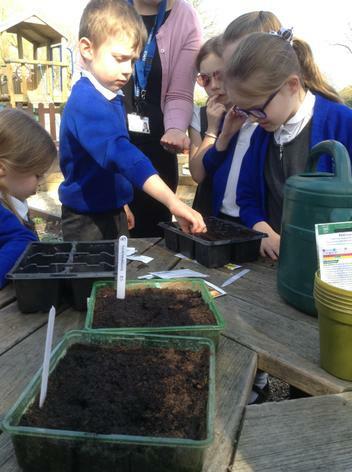 The children have LOVED watching our caterpillars changing into butterflies and have learnt lots about the process of metamorphosis. 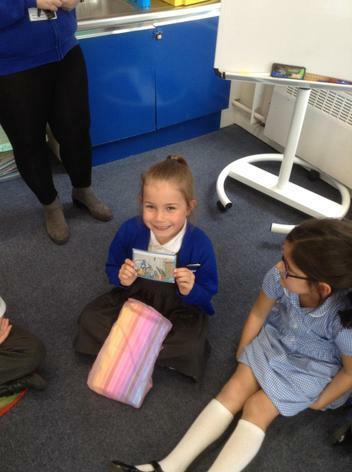 The children have loved learning about the Easter Story this week. 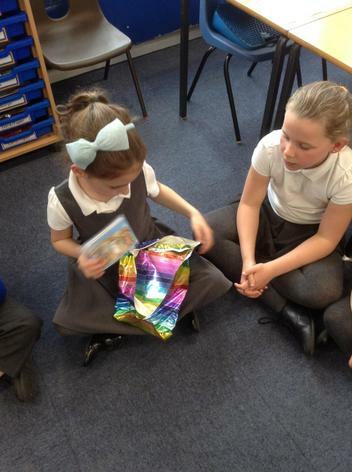 We played a game of pass the parcel to help re-tell the story. 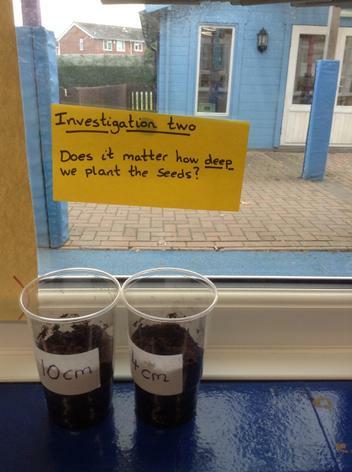 Each layer contained a picture showing a different part of the story. 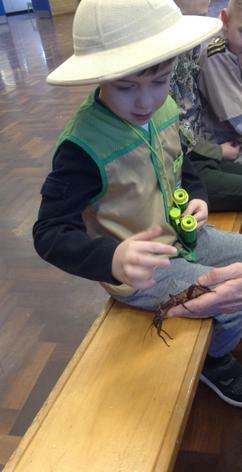 At the very middle of the parcel were some chocolate eggs. 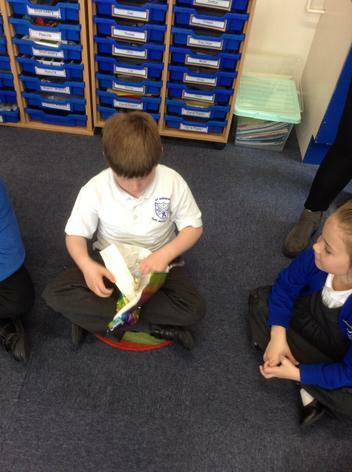 We discussed the link between eggs and the Easter story (and then we ate them of course!). 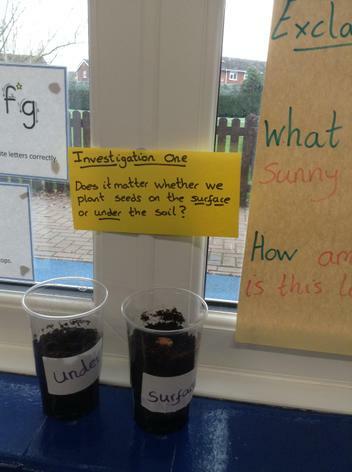 In science recently the children voted for their favourite type of soup (Tomato won by quite a few votes!!!). 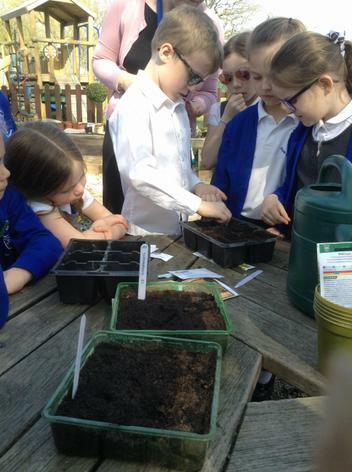 We then found out the ingredients needed to make tomato soup and planted some tomatoes, basil and garlic. 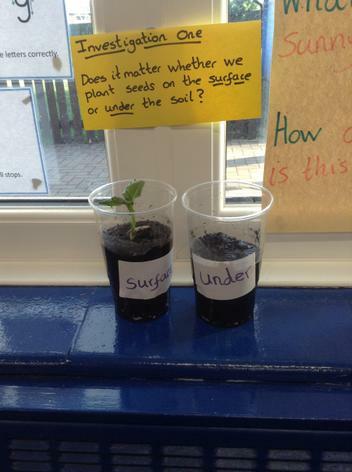 We will be looking after the plants and when they grow we will be able to make our very own tomato soup! 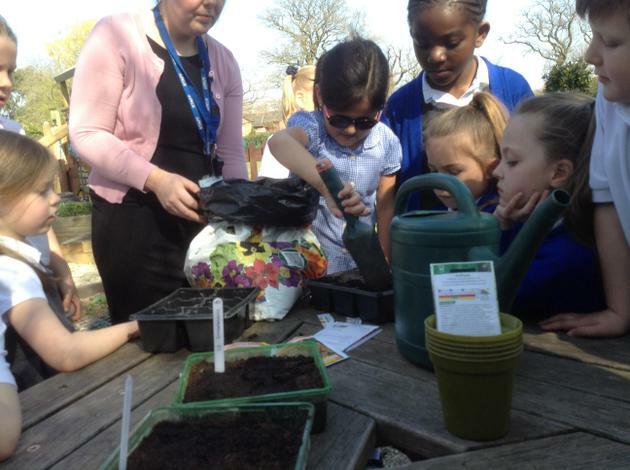 We have enjoyed learning about the artist Henri Rousseau in year 2. 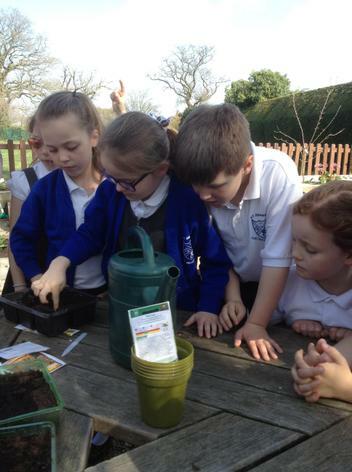 We have looked at lots of his paintings and learnt all about him and his life. 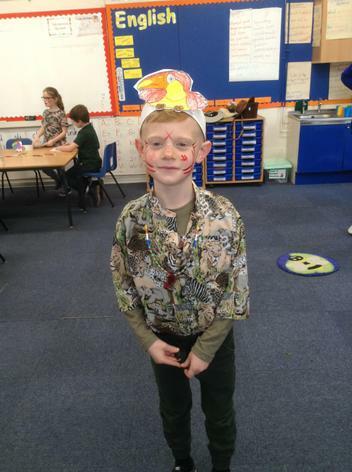 We created jungle paintings in the style of Henri Rousseau and made animal masks too. 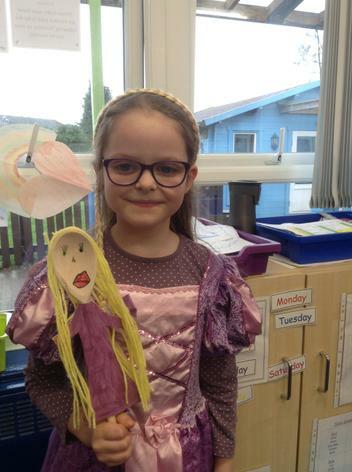 For world book day we dressed up as our favourite book character with a theme of 'magic'! 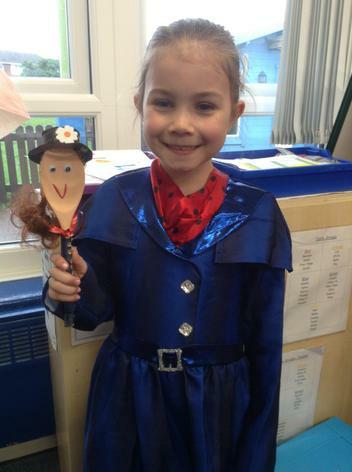 We produced some writing about our characters, had a 'golden ticket' colouring competition and made up stories using wooden spoon characters that we made. 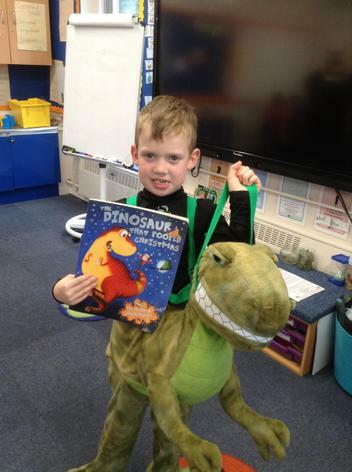 Everyone had a great day! 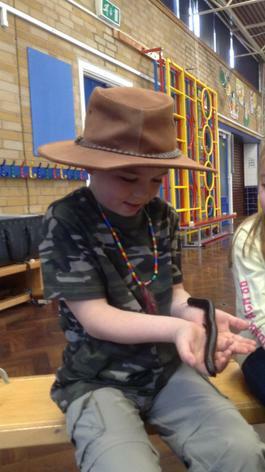 The Year 2 children had great fun learning all about the Rainforest. 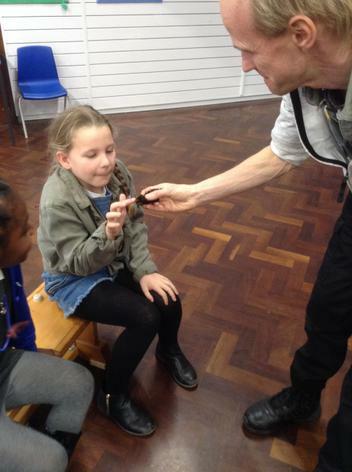 We met some real creatures, produced some lovely art work, made tribal necklaces and had our faces painted. 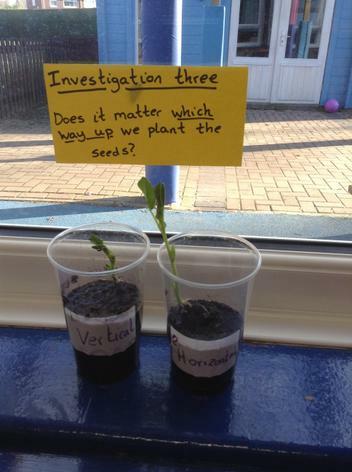 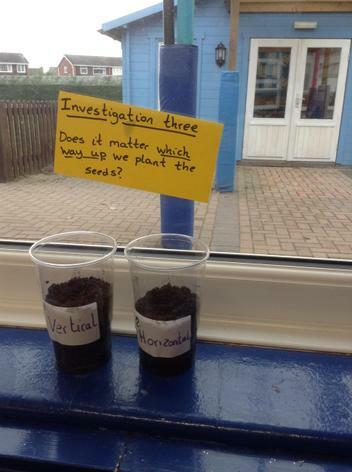 As part of our Science topic this half term (The apprentice gardener) we have been carrying out different investigations. 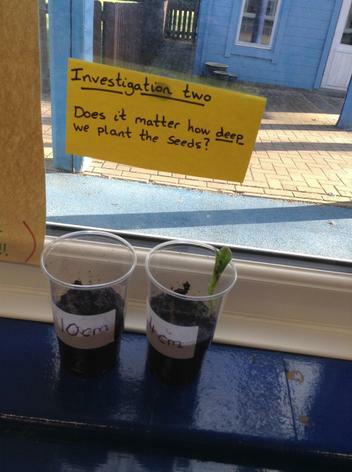 We investigated if it matters that seeds are planted on the surface of the soil, how deep they are planted and which way up they are planted. 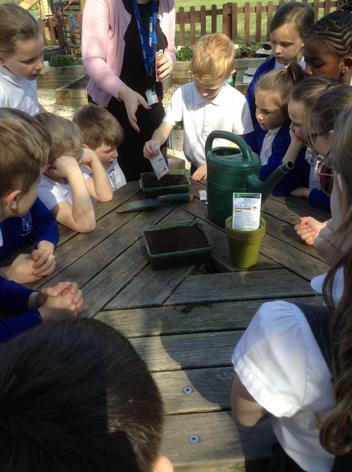 We had lots of fun watering our plants and observing the changes over the weeks.